Estate planning is the process of documenting your wishes for the future. It involves careful consideration of a variety of things that might happen. Where will your assets go after you’ve passed away? What will happen to you if you become severely mentally or physically ill? It can be stressful to think about all these kinds of questions at once, but they are important to consider. 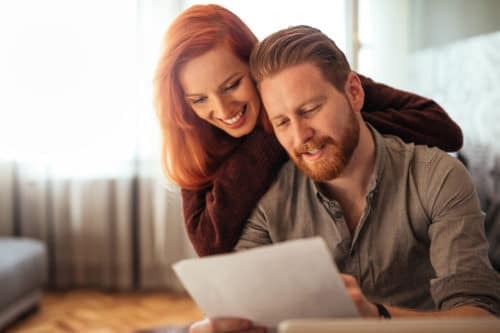 An experienced estate planning attorney can help walk you through all of your options and help you record your wishes in the form of a will or trust. Estate planning can protect you and your family from being caught off guard by an unexpected accident, illness or injury. Many people think estate planning is only about things that happen after you are gone. But estate planning can also affect what happens to you while you are still alive. How do you want to be taken care of when you’re older? Who would you trust to make medical decisions for you? You have the option to assign a healthcare power of attorney who can make medical decisions for you in the event that you can no longer make those decisions for yourself. You can also prepare an advanced directive, or living will, that states specifically how you would want to be taken care of in different medical situations. An estate planning attorney can help you set up both of these documents as part of your estate planning process. That way, you and your loved ones will have peace of mind knowing that your medical wishes will always be respected. Another aspect of estate planning is determining how your property and assets should be managed and distributed after you are gone. This will leave your loved ones with clear instructions and can reduce any confusion or conflicts among your family members. Will you choose a will or a trust? Who do you want to manage your estate? Most people appoint an executor, also known as a personal representative, to manage their estate. In some cases, you may want to assign more than one person to this role, especially if you have a large or complex estate with a lot of assets. You can also name the beneficiaries who will inherit your property. It is important to choose someone who will have the mental strength and capacity to serve as an executor. Many of your loved ones will be experiencing deep grief and it may be hard for them to take on this role. With time and thought, you will be able to make the right decision. It can be difficult to think about estate planning. Most of us do not want to have those conversations with our loved ones. But it is much better to plan ahead than to leave your family without any guidance as to what you might have wanted. An experienced estate planning attorney can guide you through this process and ensure that you have the best plan in place for your future.